A gold cap-toe, a cowgirl silhouette, a midnight-blue leather exterior and a cool architectural heel. 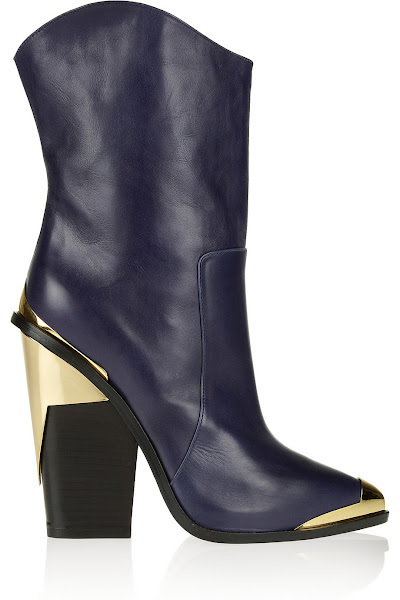 Awesomeness, and a rare nod to practicality courtesy of Versace. Get them at net a porter shoe.